​Panama Rocks is now closed for the winter until Saturday, May 4th. ​Come explore an enchanting world of towering rocks, deep crevices and passageways, cool, cavernous dens, and small caves! The rock formations are a unique outcrop of 300 million year old quartz conglomerate sedimentary rock that extend about half a mile and reach upwards of 60 feet tall. Grotesque roots snake down the rocks and delicate ferns, mosses, and lichens add to Panama Rock’s unique, jungle-like charm. 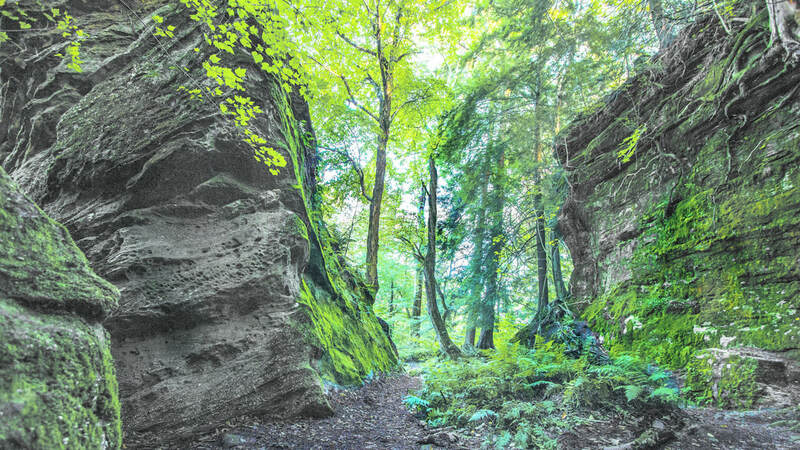 The forest at Panama Rocks is recognized and included in The Sierra Club’s Guide to the Ancient Forests of the Northeast and is home to 800+ year old hemlocks, and other species of venerable trees, including ash, beech, black cherry, elm, red maple, and sugar maple. 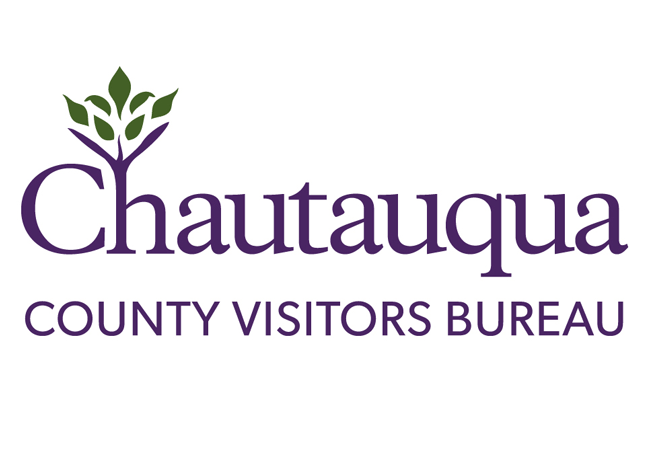 Located just 15 minutes from Chautauqua Lake (45 minutes from Erie and 90 minutes from Buffalo). 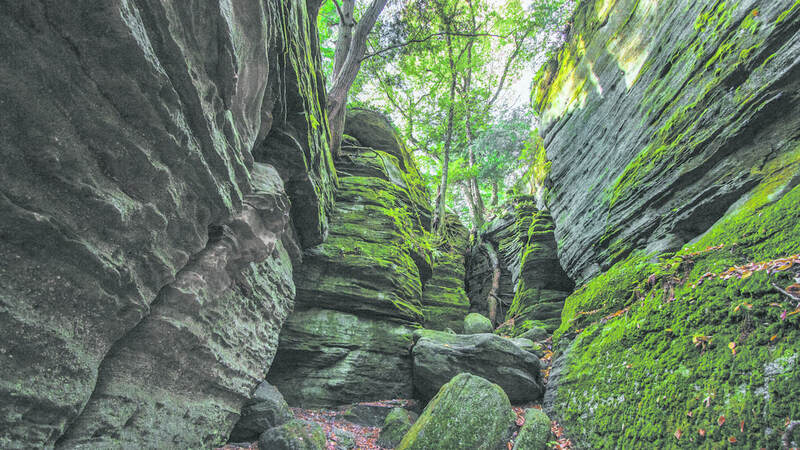 Panama Rocks is one of TripAdvisor's top-rated attractions in Western New York! Panama Rocks is perfect for families, couples, or individuals looking to spend time in nature. Whether you take a casual hike or climb through the countless passageways, caves, and crevices, how much you do is up to you! Visitors spend anywhere from one hour to the entire day having fun and exploring the park. 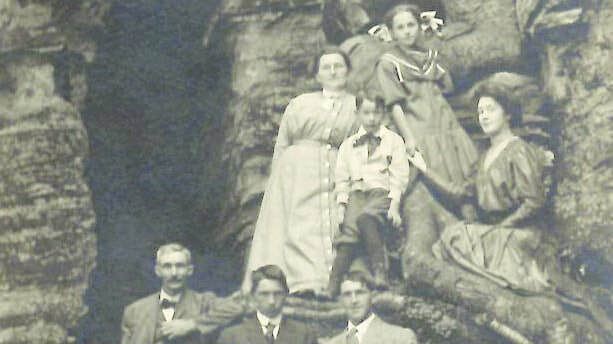 Those looking to learn about the history, ecology, and geology of Panama Rocks will enjoy our information signs, and kids of all ages can have fun trying to find the hidden treasure of Panama Rocks on our treasure hunt! Our new Axcellent Adventures axe throwing and Roger Tory Peterson's Wild America Nature Festival on the last weekend in July add even more for guests to enjoy at Panama Rocks! The formations at Panama Rocks are surrounded by a one mile long hiking trail, but most guests enjoy going off of the main trail to explore! Our hiking trail is relatively easy to hike (Class 1) and guests of all ages enjoy it, but there are roots, rocks, and uneven ground; it is still a hiking trail! Strollers and wheelchairs are not recommended on the trail. Picnic tables are available, so bring a lunch and enjoy your day with us! Please note that guests under the age of 18 must be accompanied by a responsible adult and pets are NOT permitted in the park.